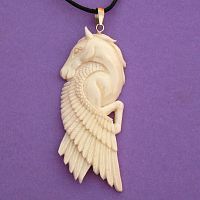 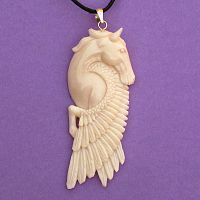 - From the long, elegant sweep of his wing, to his flowing mane and delicately pricked ear, this handcarved bone pegasus is nothing short of stunning. 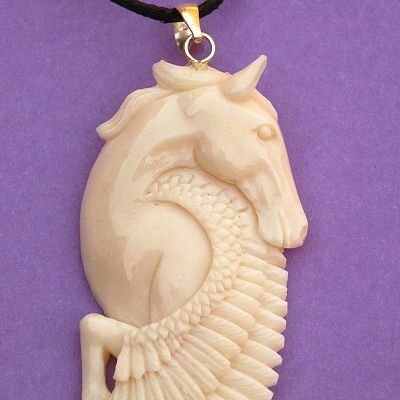 It's a perfect accessory for dreamers, seekers, and sages. This amazing pendant measures over 3" tall, and comes with a 24" leather cord. Note: Some of these face left and some face right. Do you have any other questions about our Bone Pegasus Pendant?